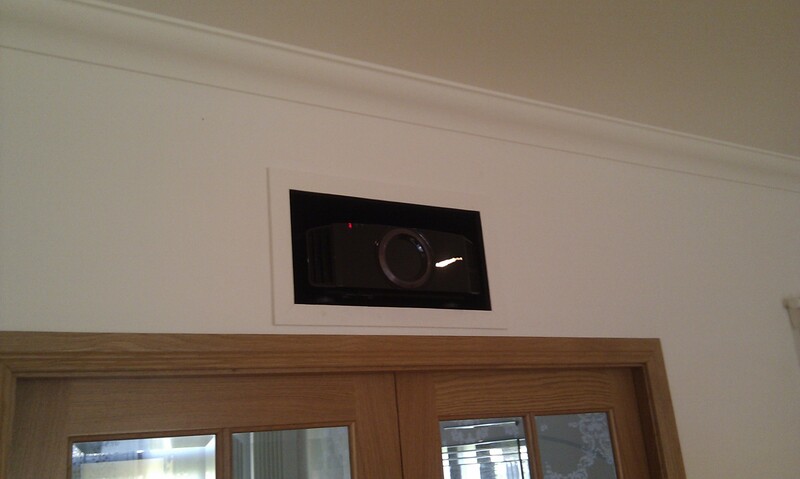 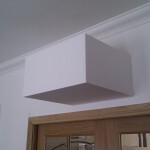 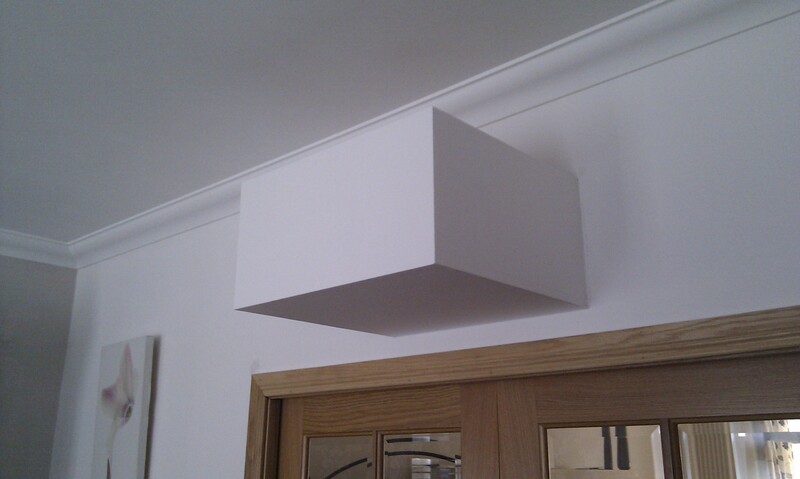 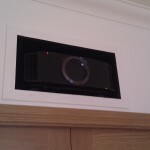 On this project, the client was looking to have a discretely installed, high quality projector system that had minimum visual impact on his front room. 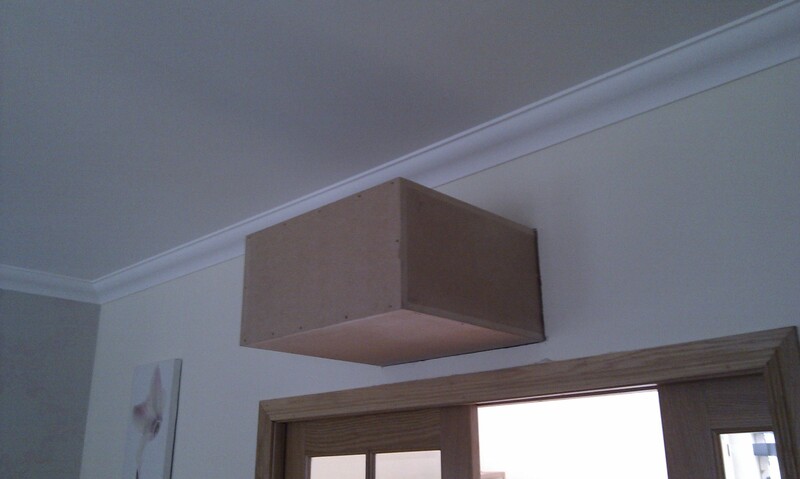 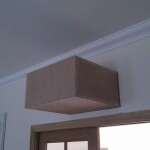 The solution was to build a specially constructed box into the wall between the living room and the less-well-used dining room area. 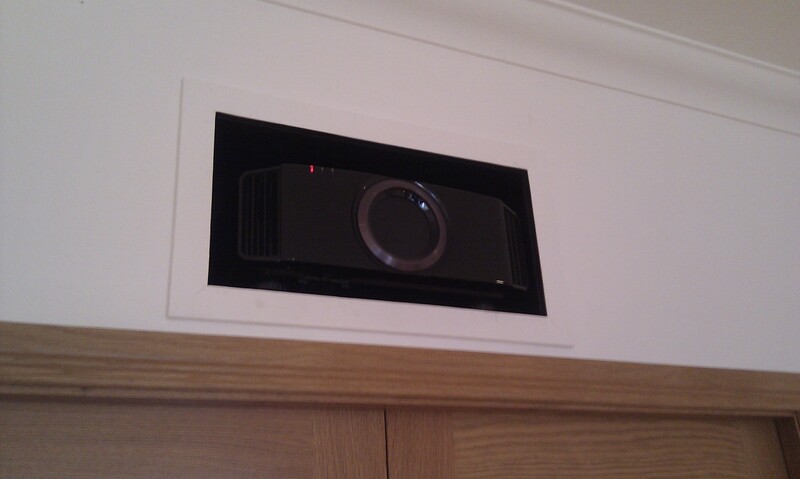 Power and HDMI cables were installed prior to the box being formed and the unit was then deigned to fully accommodate the depth of the projector including cables and allow adequate ventilation from the top. 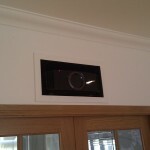 It was then finished to a high standard by a decorator to make it visually unobtrusive as possible.